A neighbourhood supermarket business at Murrumba Downs was decimated by resumption roadworks and claimed for compensation. After lower courts ruled YES-NO-YES, the High Court finally said NO. The courts considered the applicable provisions of the Land Title Act 1994 (Q), Acquisition of Land Act 1967 (Q), Retail Shop Leases Act 1994 (Q), Acts Interpretation Act 1954 (Q). This case it is a shock heads-up that landlords, tenants, managing agents and professional advisors need to beware that changes to a parent property or centre may have substantial implications on a lease, particularly when subsequently exercising an option or amendment. Rubber stamp at your peril. This tragic saga might have been avoided had the lease property description been updated on exercise of an option the year before the resumption, notwithstanding it’s taken four Courts and seven years to provide this hindsight clarity. Lesson – check all potential changes since initial Lease agreed, and update as required. The centre owners acquired an adjoining residential property and successfully applied for a material change of use and development approval for extension of the centre. The approval was conditional upon the amalgamation of the two lots. The lease was then endorsed on the new plan, which was registered. For practical purposes and operation of common areas, carparking etc, it became a single property incorporating the existing shopping-centre and free-standing extension but were not individually recorded on several leases. 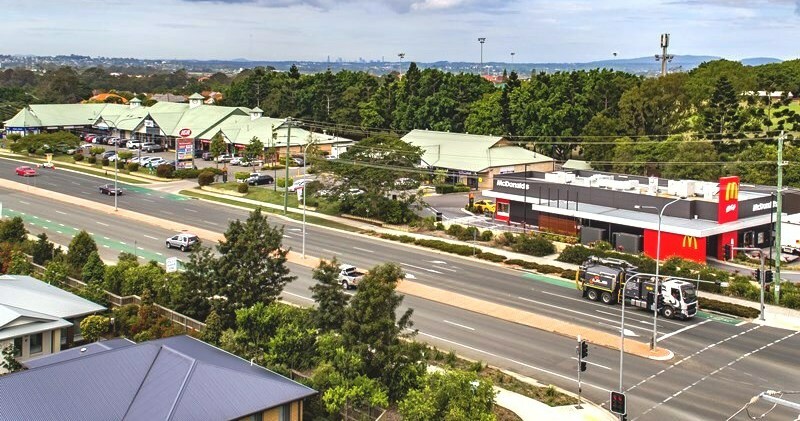 Moreton Bay Regional Council subsequently resumed a small portion of the centre for road widening and intersection upgrade. The works lasted over a year during which time pedestrian and vehicular access, exposure and amenity were severely impacted resulting in a substantial decline in business of the IGA Supermarket. A key issue was that the area which was resumed was part of the subsequently acquired adjoining residential property, not the original land parcel on which the IGA Supermarket Lease was initiated. The High Court unanimously found that there was nothing in the lease or law which would have the effect of expanding the lease rights in the event of an amalgamation. The principal question on the appeal is whether that interest extended to new Lot 1 on the registration of the Plan of Subdivision. it is opposed to business common sense to suppose that honest and reasonable business persons would contemplate that, whenever and if the Land were amalgamated with other land, the lessee should automatically and without additional consideration acquire an interest in or right over the further land so acquired. After 14 years building a successful family business and supporting local community groups, the resumption impacts and legal costs left the supermarket owners financially devastated – the business was sold for $1.00. Whilst these decisions are a few years old now, we are alarmed to see several recent instances where there have been significant changes to the original parent parcel, centre operation, and/or property description, yet on lease renewal these changes have apparently not been reviewed or updated, thus exposing parties to a potential repeat of this disaster. One can only speculate as to the possible negligence liability that professional advisors might face if there is future loss arising from failure to provide proper guidance. Disclaimer : This publication is intended only to provide a summary of the subject matter covered. It does not purport to be comprehensive or to render professional advice and neither purports nor is intended, to be advice on any particular matter. No reader should act on the basis of any matter contained in this publication without first obtaining specific professional advice.